Do you live along Buffalo Bayou? Was your home flooded as a result of the controlled release of water from Addicks or Barker Reservoirs? We may be able to help! Many home and business owners along Buffalo Bayou flooded during and after Hurricane Harvey, but not because of the historic rainfall. 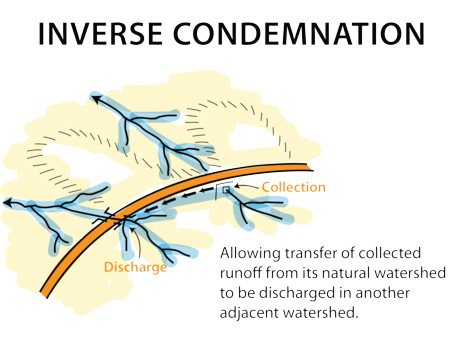 Instead, the Army Corp of Engineers made intentional, controlled releases of water from the Addicks and Barker reservoirs, sacrificing the homes and businesses downstream from Buffalo Bayou in order to save other property. If this happened to your home or business, you may have an inverse condemnation claim and may be entitled to fair compensation for your property damages. How do I know if I have a valid inverse condemnation claim? The experienced attorneys at Mostyn Law can help walk you through it. But the bottom line is, if you own a home or business downstream from Buffalo Bayou, your home or business was dry and not flooded during Hurricane Harvey’s heavy rain Sunday, August 27 and only flooded on Monday, August 28 after the decision was made to release water from the Addicks or Barker reservoirs, you may be entitled to compensation for the damages to your private property. For a free case evaluation of your potential inverse condemnation claim, please call our office or fill out our case evaluation form below, and an attorney will call you to discuss your damages and legal rights.